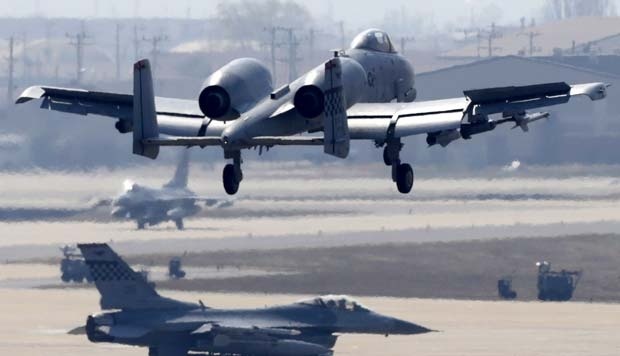 World Technology: Photo: This is the United States Air Power in South Korea : right or Not? Photo: This is the United States Air Power in South Korea : right or Not? 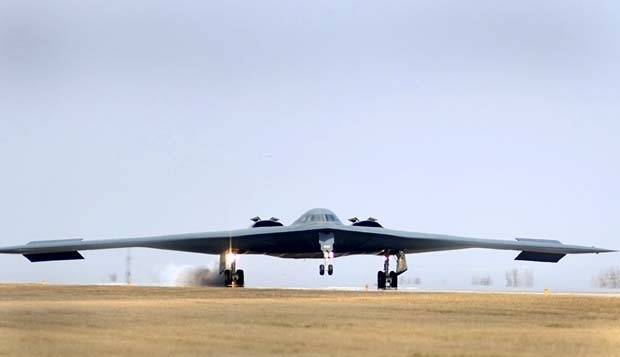 U.S. stealth bomber B-2 Spirit landing at military bases Whiteman, Missouri. U.S. sent two aircraft to South Korea B 2 (3/4) after the temperature on the Korean Peninsula heats up. Stealth fighter F-22 Raptor air from the U.S. military base in Pyeongtaek, South Korea, for military training (3/4). A-10 fighter aircraft will land at U.S. military base in Osan, South Korea, (3/4). The aircraft took part in military exercises with South Korea. 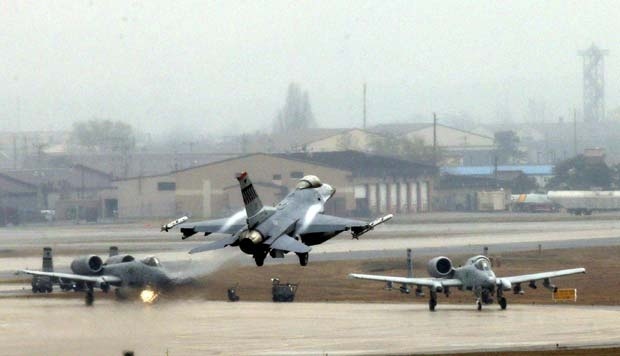 F-16 fighter plane landed on U.S. military base in Osan, South Korea, (2/4). U.S. warships equipped placed ballistic missiles in South Korea coast to deal with the North Korean attack. 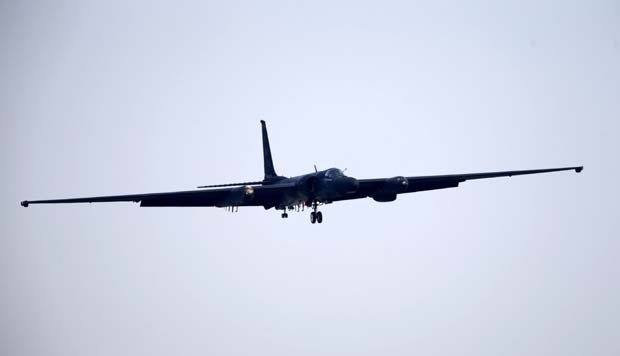 A reconnaissance plane U-2 prepared to land at the U.S. base in Osan, South Korea, (3/4). 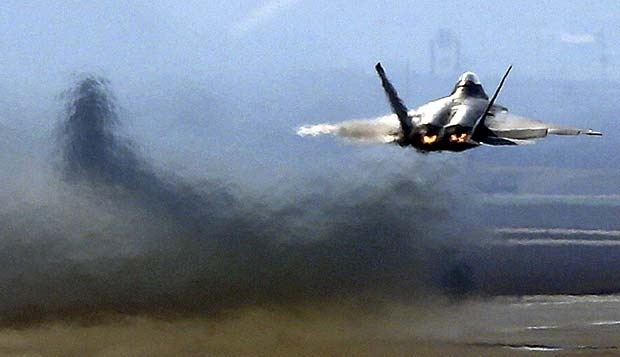 The United States also include anti-radar aircraft F 22 Raptor in military exercises with South Korea. 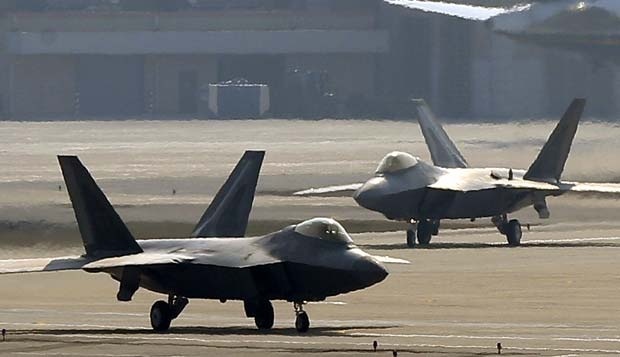 Two aircraft stealth F-22 Raptor prepares to fly in the U.S. military base in Osan, Pyeongtaek, South Korea, for joint military exercises South Korea (3/4).